Prince N Princess introduced “New born Silk Frock” stitched from the Handloom Pure Silk Sarees. These sarees comes with the “Silk Mark” hologram which is guaranteed by Govt of India that its Pure Silk. Every mom wants her little princess to be special on the naming ceremony, Cradle ceremony or its first birthday. 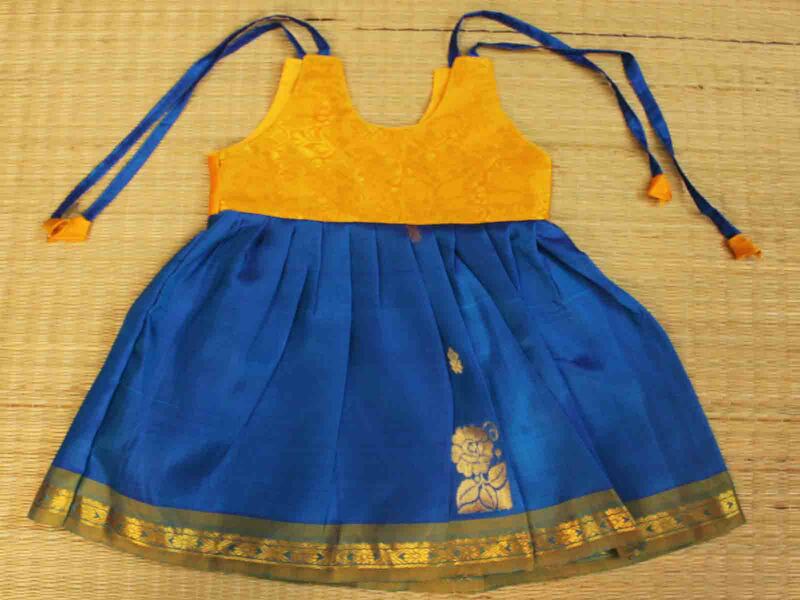 This New Born Silk Frock is really special for every little princess. 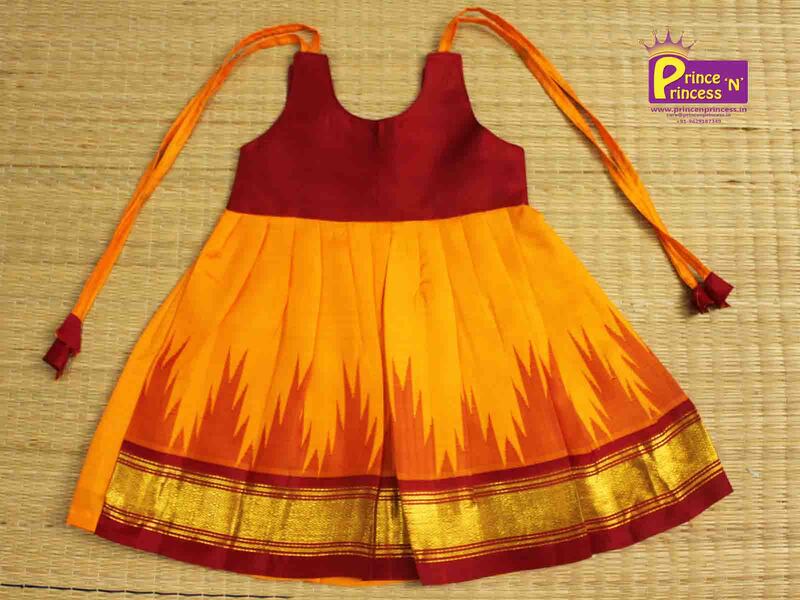 These frock are very comfortable for the little princess to wear and it has cotton lining inside. 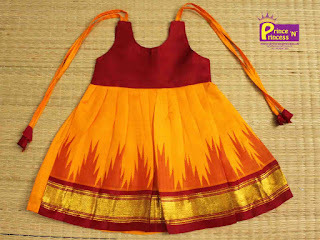 New Born Orange Pure Silk Frock . These frocks are available for the sizes from 3m, 6m & 1 year. Can be bought from online or from Direct Coimbatore Showroom Purchase. 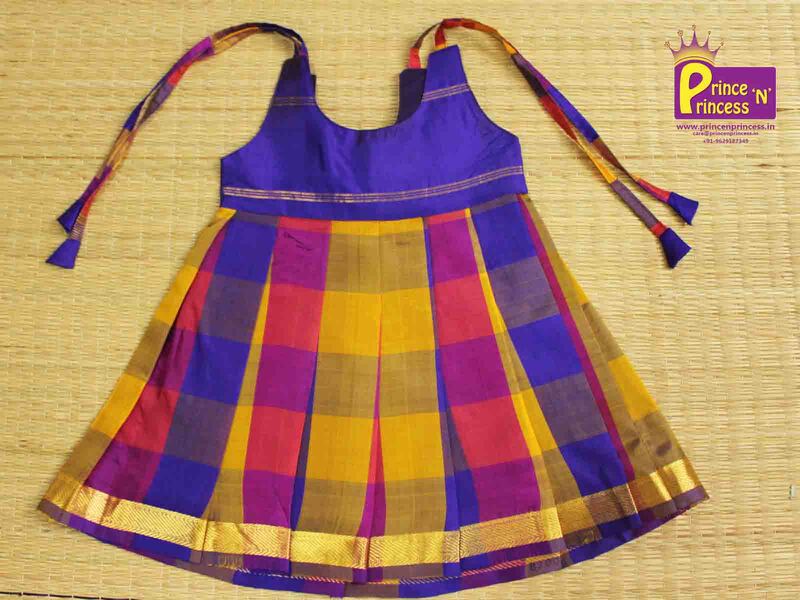 This frock comes with beautiful Border and its one of the bright colour which is apt for special ceremony. Visit Showroom in Coimbatore for direct purchase . Prince N Princess, Jawahar Building, Avinashi Road, Hopes College, Coimbatore 641004.